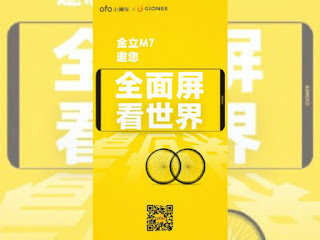 Gionee set to unveil a new device in the M-series called Gionee M7. This is coming after the launch of Gionee M6 versions. According to the company, the new Gionee M7 will be coming with a Full HD+ screen with ultra-narrow bezels. According to the leaked specs and features gotten from GFxbench, the upcoming Gionee M7 will be featuring a 16MP rear camera + 8MP front selfie camera. The listing also reveals that the phone will come running on Android 7.1.1 Nougat straight from the box, powered by latest MediaTek Helio P30 SoC, 6GB RAM + 64GB internal storage. A 6-inch (2160 x 1080 pixels) Full HD+ screen with 18:9 aspect ratio. Let's wait for the official release of this phone, but meanwhile take this info with a pinch of salt. This will be the best of all phones but they are yet to let us know its battery capacity. Kudos to you for bringing the awesome update to us. The brief specs displayed here have truly made my day and I'm gonna wait for a while before getting a new phone. Wow. By the time M8 will be ready, it will be bezel less. Like most high end phones now. Correct. This device is awesome, I like its specifications. But I hope it won't take long?